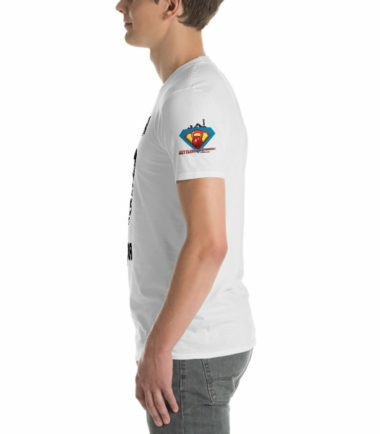 This thick cotton t-shirt makes for a go-to wardrobe staple! 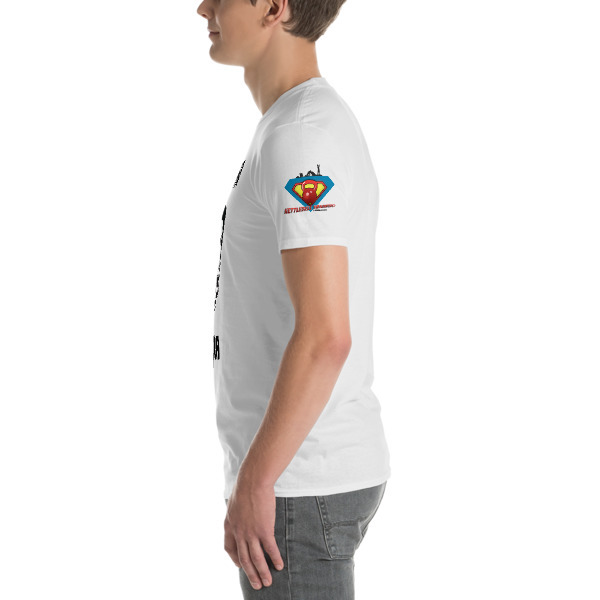 It’s comfortable, soft, and its tubular construction means it’s less fitted. 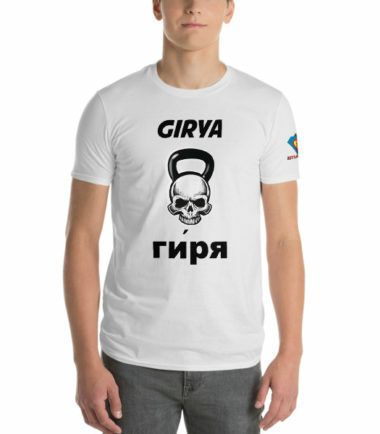 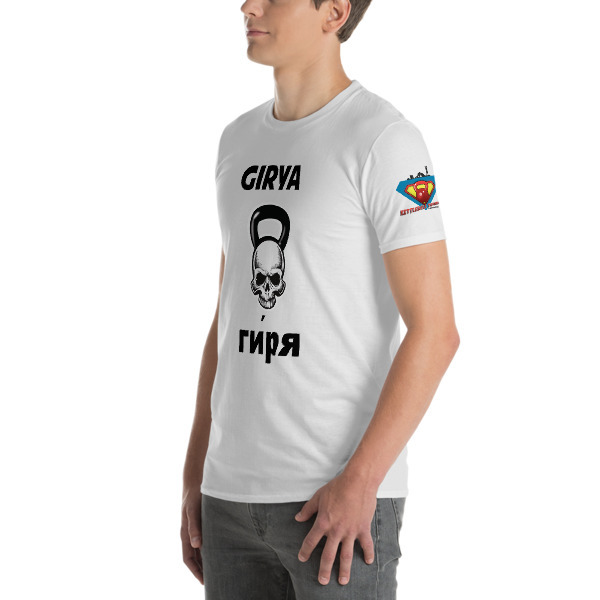 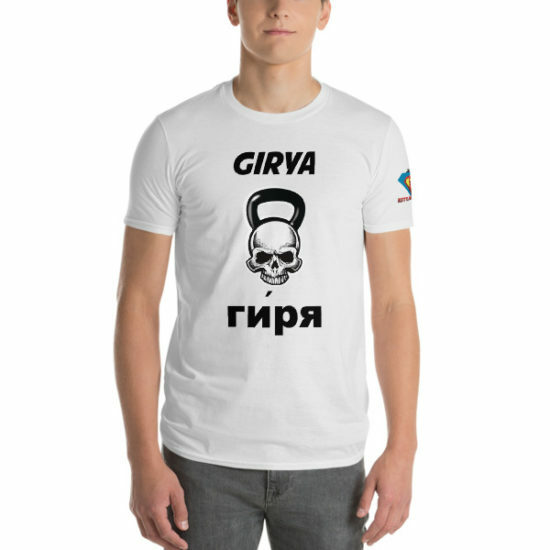 Printed with the Cavemantraining kettlebell skull and the word "Girya" in English and Russian. 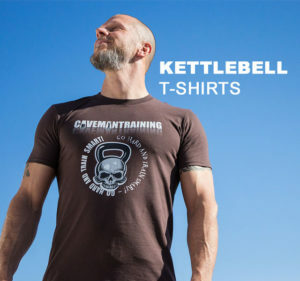 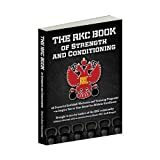 The left sleeve is printed with super kettlebell training.